Tonight I'm taking stock of my accounts - really looking things over and tallying and adding and crunching numbers like my college level statistics course taught me well. No matter how I crunch it, I come up with the same spiritual sum: bankrupt. I am so thankful God can take an admission of spiritual bankruptcy and use it to show us how merciful He is... in turn allowing us to be truly merciful to others. Tomorrow is a new day, folks. what if God doesn't like cookies? I just finished making the above (ultimate chocolate chip cookie) for tomorrow's Hands and Feet meeting. I am becoming a huge fan of allrecipes.com (and all the suggestions posted by users who have tried the recipes. For this recipe I added oatmeal and switched the baking soda for baking powder. They came out delicious - just ask my tummy! Where does God fit in to this little weekly baking session? Well, it all goes back to last week at Bible study. Though the number of girls who attend varies, we are always sure about two things: we will eat something delicious and we will study/question/read/wonder about the book of Malachi. I picked up the study, called Blemished, in a Lifeway bookstore on my way out of Indianapolis (I can thank God for that ridiculously confusing 420 loop). It initially caught my eye because Malachi is the last words God spoke before going silent for 400 years. That's a long time. As I leafed through the pages, I felt like it would be a good balance of studying Scripture (only 4 chapters in the whole book) and discussion. And what could be more relevant than prophecy about the failings of the church? So many students here are jaded toward the idea of church as an institution because it is either heaped in tradition or it is a parade of hypocrites. So, fast forward to last week. It was only our third week meeting officially because of all the chaos down here, so we're making slow progress. But last week, we talked about what it means to be rebuked (we have had some AMAZING discussion!). This is, of course, what God commanded Malachi to do to the Israelite people, specifically the priests. They had become quite cavalier with their sacrifices and God sent Malachi to let them know so. So, our discussion moved into the idea of sacrifices... what is acceptable and pleasing to the Lord? Why wasn't the Lord satisfied with what the priests were bringing? How could they even know what He wanted in the first place? 1. You make a wonderful batch of cookies, using the best recipe. They are all coming out of the oven deliciously, except that your oven cooks unevenly... so there are a few "reject" cookies that you set aside. You don't want your friends to have to eat those - they taste like char! But, being the good person you are (and having all the starving children of the world on your mind), you don't want to waste them either. So, on your way to the party you spot a dreadfully hungry-looking homeless man. You deposit the charred chocolate chip cookies in his hand and kindly bless him in God's name. 2. Your friend (best friend in the whole whole wide world) is about to have a birthday. You can't even describe your love for this friend. This person has been a constant - through breakups and prom dates and divorces and graduations and first interviews. This person is pretty much the best thing you've got, so you want to make his/her birthday the MOST SPECIAL-EST ever (he/she is even great enough to warrant bad grammar!). So, you think and think and think about what would be the best gift .. and then you finally reason that he/she would probably want a dozen batches of your favorite homemade cookies, because that's what you would want for your birthday. You go about and make the plans and you work day and night until his/her birthday finally arrives. The day comes and the birthday happens. Your friend is happy... but not really in the way you thought he/she would be. In the course of our discussion (which for the purpose of the analogy was all about cookies), I felt a little light bulb illuminate my tiny brain, "WHAT IF GOD DOESN'T LIKE COOKIES?" We had been talking about sacrifices and gifts and what is pleasing to the Lord. The priests earned a stern rebuke for bringing blemished, crippled lambs to the altar - their castoffs and charred chocolate chip cookies. God saw the hearts behind the sacrifice and was grieved. If the priests really, really, really loved God and wanted to please Him, then they would have to KNOW HIM. I don't know how many times I passed by homeless people in Chicago and gave them leftovers before I finally realized that giving leftovers was no sacrifice at all. It's giving my best - the real $15 meal of the homeless person's choice - now that would be something. Living as children of the light means we can and should find out what the Lord desires of us, not what we want to give to Him. Just because I want to give him an hour in the morning, does that mean it is best or pleases Him? Is it the best hour I have in the day? Or is it my charred cookie remains? Sometimes I feel like I tell God, "Well, this is my best for the day.. kind of .. or at least it's what is available... or it's what I would want if I were God. 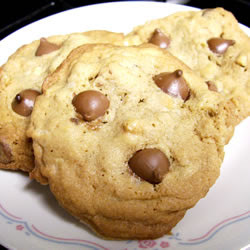 Here, just take these cookies... they are really good, even if they do give you a tummy ache. It may not be my best but it's pretty good. ... I hope you like it, because that's what I'm giving you today. You're getting sleepy hours between 4:30-6am and you're getting sentence prayers throughout the day. I hope that's what you like, God. It's pretty good, right?" I know - I should be embarrassed to share that and I am a little bit. All week that question has been running through my head... what if God doesn't like cookies? What if all this time I thought he wanted what I wanted to give? I am starting to think what He wants is splendidly different. I'm scared to say I'm going to find out, because the rebuking road is not easy. After a solid day-long hibernation yesterday, today I was ready to re-enter the world of social outings and easy conversation. But, had you tried to rouse me or engage me in any sort of way yesterday, I couldn't have made any promises of my attentiveness. The weeks (and months in the idea-in-my-head kind of way) leading up to Friday, October 23rd were packed with questions, preparations, and lots of battles against worry. In the course of these weeks, I felt constantly compelled to apologize with the words, "I'm a visionary." Sometimes (okay, many times), I look ahead to the glorious, vague notion of "what could be" and then work haphazardly toward its realization. I used to think I was organized... you know, with color-coded plans B, C, and D in proper order. I used to think if I had enough discipline and spoke with enough authority, that inner, organized leader in me would prevail. Well, come to find out, the inner, organized leader I so hoped to uncover was quite hard to find. Now, I don't lie to myself. Instead, I say, "I am a visionary, like my dad." I know it doesn't get me off the hook, but I hope that it does bring in all those around me to keep me accountable and ask the right questions. All of that to say, being a visionary turns out to be a lot about being humble. Holding your plans loosely, holding schedules that are slippery like jello, and trusting that however it turns out is the way it was supposed to go (even if it looks nothing like what was in my head). Friday night was just exactly that - not at all what I pictured and absolutely a work of God. Micah Project and the Transition Home (ministry of Orphanage Emmanuel) joined us in the afternoon and we spent several sweaty hours playing soccer on the field. Then we moved into the gym to several stations - prayer room, letter-writing, and learning stations. The kids (in small groups) walked into the prayer room and prayed for the Micah boys and the girls from the Transition Home by name. They wrote letters to our Congress here, explaining the purpose of the event and asking that they might concern themselves too with the needs of those living on the street. Then, they had fun with the challenges at the learning stations: creating a sculpture out of bottles and cartons, creating an outfit out of scraps of fabric, creating a game out of found objects. "Jesus said to him, You shall love the Lord your God with all your heart, with all your soul, and with all your mind. This is the first and greatest commandment. And the second is like it: You shall love your neighbour as you love yourself. On these two commandments hang all the law and the prophets." We united together, as neighbors in Tegucigalpa and loved one another through playing games, making jokes, laughing, and sharing joy. Our dinner was simple: hot dog, chips, soda. We listened to a band and then joined together in worship. The sound reverberating in the gym was pounding in my head with all my worries, but when I looked around, the unity I saw was beautiful. After the singing died down, with prayer we ushered in the presentations of the two organizations, who shared testimonies about their work with children who grew up on the streets or were saved from a childhood on the streets. When Becca (from Micah Project) asked Wilmer and Marvincito what their dreams were for the future, their answers made a huge impact on all of us gathered. They said some version of this, "When I get older, I want to help the kids who were like me - poor and on the streets without hope." We prayed for the organizations, laying hands on them and then they in turn prayed for us. This exchange remains imprinted on my heart - that we are called to both give AND take as part of the body of Christ. Just as we were ready to move out onto the soccer field for the campfire, the electricity died in the gym. At that moment, walking out onto the field illumined by the fire's glow, we were one. We were really ONE: one family, one community, one love. We crowded around the warmth of the flames and we sang. We prayed. We gave thanks. We were one. And then we dispersed to our flimsy little cardboard beds (which quickly became a community event as well - for warmth!) for the night. Though not all the students that came were born-again believers, I think we all got to see a little glimpse of what God might have in store for the future - worshipping, playing, loving, and enjoying life... together. The morning came early enough and I was glad (especially for reasons of liability) that everyone made it through the night. We packed up and cleaned up and with almost every step I wanted to find a corner to collapse into. But, God be praised, I made it, too! I will be praying for many more nights like these (and God's power to sustain us to do His work). Hello friends! This time more than ever, we are feeling the spiritual attack here in Tegucigalpa, in Honduras, and in our school on the mountain. Just as God promised His people, who are called by His name, to be humbled in prayer, seek His face, and turn from their wicked ways... He promised to hear and forgive and heal the land (2 Chronicles 7:14. We want to respond to God's call to enter into communion with Him - to adore Him, to confess our failures, to pour our thanks out at the altar, and to petition with grateful hearts for God's will to be done. But we don't want to do this alone. This next week, starting at 11:30 am on Monday, October 19, we will be having prayer in the 212 room in the high school (or in your home) 24 hours a day for 7 days. We want to form a seamless prayer chain, where we are coming before the Lord together, as a unified community. To participate, sign up in the hallway by the 212 room (elementary staff are encouraged and welcomed!!) or send an email to Miss Nichols (caroline.m.nichols@gmail.com) or Mr. Cochran (cochran@hifo.net). Please pray especially during the night hours, as students are primarily signing up during the days. We are teaching students to use the “ACTS” acronym to pray. We will be encouraging students to step away from the tendency to pray in general terms and instead praying deeply through Scripture. Each day will have a theme and we will pray through each letter of "ACTS" for each theme. Spiritual Emphasis week for the high school will follow the 24/7 prayer and follow the same themes as 24/7 prayer. This is a huge opportunity to lead students into an understanding of our intimate relationship with our Sovereign God through the repetition of Truth. Carpe Diem - Sent from Boyd Hobbs on Vimeo. Okay, fine I'll just tell you. Her name is Alejandra; I know I've mentioned her before. In my previous post, "wish words were better" she was the source of my joy. After a whole year of looking way too desperate to be her friend (some would say that my dedication to high school girls is because I'm desperate for friendship), Alejandra blessed me with one of the best conversations so far this year. And, even better, I am beginning to see more beauty unfolding every day! Alejandra has this mysterious joy about her and she is always ready to bring out smiles and laughter in others. I haven't figured it out yet, but I also know that there's a lot brewing on a deeper level. She is a thinker and a questioner and now a pursuer of Christ. I am so proud of her bravery and every bit of her unique spirit. I can see that her pursuit will delight the Lord in so many ways. She reminds me (in such a beautiful way) that I need to keep fighting... that I need to be sharpened... that I need to be humbled... that I need to be honest... that most of all, I need to be so knee-deep in God's Word that I'm content not to get out. She reminds me of these things because I want to serve and lead as a sister in Christ in the best way. And I know I can only do that through the power of the Lord. Today, as I sat in church, I started to smile. We listened to passages from James, Ephesians, Romans, and Psalms interspersed with singing and preaching and this was the overwhelming message: the joy and hope of our salvation is not dependent on the circumstances of this world. Though we are part of this world for a time, our true citizenship is in heaven. Our true and perfect leader is seated on a throne so far above the unruly rebellions of humanity. The pain and brokenness of the world (and things Satan intends for cursing) God intends for blessing... and for opportunity to reveal more of His glory. We have hope and our hope does not disappoint (Romans 5). Praise the Lord for this beautiful Truth! Today I feel like my dramatically lowercased "dear diary" entry yesterday is so silly and shoddy. Why do I try so hard to make those last lines of my contribution to cyberspace echo with meaning? Why can't I just write something honest and not care if it makes sense and has a 'moral of the story' to go along with it? Well, I'll give it to you straight. I hold nothing against the author (as well I shouldn't, having just confessed sincere jealousy of her success), because I really do love the way she has knit her straight-from-the-soul words together in such an accessible way. I guess I just might be frustrated with the mortality of words written to celebrate life here on this little earth... if they are not paired with the promise of what every good, beautiful thing in this world represents. I turn a few pages back in my journal and read my notes from the Heaven study I'm doing (HIGHLY RECOMMENDED). The study guide asks me to read Mark 8:34-38 and think about what questions Jesus is asking. He asks very plainly (don't you love when studies basically lead you to the answer like a horse to water) "what does it profit to gain the whole world and forfeit your soul?" "What can a man give in return for his soul?" I wrote: You can insert anything in the first question for "the whole world" - like health, prosperity, peace, two parents, the most elegant dinner party, a house full of children, career success, even clean drinking water - and we end up with the same problem: a forfeited soul without Christ. I believe this, I really do. I believe that no matter how happy we make ourselves or how well we revel in delight in the good things God has allowed us, there is no amount of any of these that would replace the loss of a soul. So. If I were to write a book about celebration, there would be tales of doubled over laughter and glorious rescues. But, and I don't know how, I would have this responsibility to share that these moments of delight are merely a shadow of the explosion that is to come. MERELY A SHADOW! Can you believe it? I believe it, but I know I don't quite understand it. The first week of school, I had the following conversation with a student. MJ: This is my motto for this year, "Don't take life too seriously because in the end no one ends up alive." me: Hm. That's interesting. So, where does everyone end up? MJ: (with duh on her face) Dead, Miss. me: Uh-huh. So, what should we take seriously? MJ: What? Death, I guess. me: Yeah, something like that. You know, the place where we'll spend eternity? I look back on that conversation (so providential and completely 'out of the blue' and yes, it's they all call me "Miss") and I know that this is what I am meant to celebrate. Not the fleeting, celebratory moments as ends in themselves, but the deepest delight comes in knowing that there is an eternity that will echo with the brightest of celebrations. And, in all this, how can I celebrate... how can I bear to celebrate so deeply and with such anticipation and then keep this beautiful eternity to myself? Without going into too much detail (and making this cleansing process about me instead of the Lord)... I finally dealt with a very heavy guilt from a past sin. I knew the Lord was asking me to confess to the offended party and now I know Satan has nothing to hold over my head. Though I had asked the Lord for forgiveness long ago, I knew in my heart I needed to confess to the person as well. I ignored this conviction for years, but in the past week I finally relented and OH the sweet release! Now, when Satan tries to deceive me with his lies of guilt and inadequacy, I just point straight to the cross and Truth. This week has been about God's healing, redemption, and the work He can do through our brokenness in the lives of others. I just praise God for His victory over what is so filthy in our lives. I am honestly humbled everyday with the foolish, stupid things I do. I am more and more in awe of the Lord's patience with such a wayward soul. Sometimes I wonder if He rolls His eyes. I mean, I sure would if I had to watch me make so many mistakes. But, you know, I don't think He does. I'm convinced that therein lies the beauty in His character - He never, ever changes. He is ALWAYS good and ALWAYS faithful, ALWAYS patient, and ALWAYS True. always. I heard this song for the first time this week and it just seems to fit with this beautiful, redemptive lesson. This is almost exactly how I felt whenever I thought about this specific sin: dirty, ashamed, nothing to offer or bring. All of this I bring, all the rags, to the feet of my Prince and believe that His beauty will cover me. If my life were played out on a stage, now would appear a stage direction in parenthesis (enter craziness). I guess I must note that when I use the term craziness, it is in a very affectionate and joyful way. Craziness makes my life spin around and usually when I collapse dizzy on to the floor I have a smile on my face. I suppose that's a way to explain it. Take these last two days for example - Tuesday and Wednesday we had retreats for 7/8 then 9/10 respectively (today was 11/12 and apparently three days was too much skipping school!). So, in one day we are expected to build the kind of atmosphere, unity, and crazy fun that the kids would normally find in one weekend. That's a LOT of screaming, hand-springing, jumping, chanting, singing, cart-wheeling, and altogether uninhibited fun-having. Last night I collapsed when I arrived home at 6:30 pm and by 7:30 pm I wondered what was the absolute earliest hour I could officially go to sleep without being completely lame and old. By 7:34 pm I decided I didn't care about lameness... I cared more about my lower back pain from playing "volleyball" with a bunch of 14-year-olds and a giant ball the size of the sun (it seemed). But, I love it. I love being silly, leading cheers, breaking the ice so the next guy has it a little bit easier. He can say, "Well, I may look ridiculous, but did you see Miss Nichols? Now, that teacher is trippin'!!" I don't mind one bit. I think it's kind of a gift, actually. And, if it gets out some of that awkwardness right away at the beginning, we may make some more headway in the true purpose of the day. Yesterday, as I fell off the bleachers into the shaking hands of 9/10 graders to illustrate trust, I wondered if I'd gone wacko. Really, one of these times someone is going to get the shakes and move at the wrong moment and I'll be rushed to some backwoods clinic because some kid decided he didn't want to follow simple directions and save my skull. No, just kidding. But, the neat thing is, they did catch me. There are so many ways we can use that illustration... about trusting. First, trusting the Lord and knowing that if every single person in our lives disappoints us and breaks trust, He will not. He is faithful to the end. And, second, recognizing that God created us and called us to be part of the Body of Christ. As the Body we are responsible to support the community, though sometimes it may be scary or uncertain or even painful. This is the work of the Body of Christ. You know the neat thing as you are "ministering" is that God ministers to your heart as well. At least, he does mine. Yesterday, I just felt such a strong sense of release that God will do the work of ministry faithfully with or without me. If I boast, let it be in His work, because He is sure to succeed. My friend Nicole always used to start her papers in college with "Wow." As I read this short devotional this morning from our daily bread, I thought about all the ways we are "wowed" by our awesome God. Truly amazing. I'm sorry for my week away from the blog world, but I'm not sorry for the wonder of a week wrapped in my battle cry to, "Finish well!" I'll write more later, for now have a taste of this and do like Jeremiah - take and eat the Word (Jeremiah 15:16). One blustery day in June, our family, holidaying in the Canadian Rockies, went to a tourist site that was billed as a “must see.” The cold wind made me reluctant to go on until I saw a group of people returning from the scenic spot. “Is it worth it?” I asked. “Definitely!” was their response. That gave us the incentive to go on. When we finally reached the spot, its beauty rendered us virtually speechless. “Wow!” was all we could manage. Paul reached that point as he wrote about the work of God in saving Jew and Gentile in the book of Romans. Three things about God “wowed” him. First, God is all-wise (11:33). His perfect plan of salvation shows that He has far better solutions to the problems of life than we are capable of devising. Second, God is all-knowing. His knowledge is infinite. He needs no counselor (v.34) and nothing surprises Him! Third, God is all-sufficient (v.35). No one can give to God what He has not first given to them. Nor can anyone ever repay Him for His goodness. In God’s character and in His creation, we see His majesty. This is the daily devotion that ended up in my mailbox this morning. I just thought, "God, you are so good." Is Jesus enough? That’s a question many Christians need to ask themselves. They have abundant material possessions. But do these believers depend on Jesus? Or on their stuff? While having wealth is not condemned in Scripture as long as priorities are in order and the needs of others are addressed, those of us with relative wealth must remind ourselves that Jesus—not riches—sustains us. The apostle Peter helps us with this in the story of the lame man begging at the temple gate in Jerusalem. This man asked Peter for money, but Peter replied, “Silver and gold I do not have, but what I do have I give you: In the name of Jesus Christ of Nazareth, rise up and walk” (Acts 3:6). The man lying at the gate thought the answer to his problems that day was money, but Peter showed him that the answer was Jesus. And He still is. Who has Christ, though nothing more. —Anon. Our greatest riches are the riches we have in Christ. And this is a beautiful excerpt from "Letters to Malcolm" by C.S. Lewis. I don't know how people can read things he writes and not think. It might be impossible. "One must be careful not to put this in a way which would blur the distinction between the creation of a man and the Incarnation of God. Could one, as a mere model, put it thus? In creation God makes - invents - a person and "utters"-- God the Son takes the body and human soul of Jesus, and, through that, the whole environment of Nature, all the creaturely predicament, into His own being. So that "He came down from Heaven" can almost be transposed into "Heaven drew earth up into it," and locality, limitation, sleep, sweat, footsore weariness, frustration, pain, doubt, and death are, from before all worlds, known by God from within. The pure light walks the earth; the darkness, received into the heart of Deity, is there swallowed up. Where, except in uncreated light, can the darkness be drowned?" Wow. I had to read and re-read, but what really captivated me was thinking about Christ drawing earth up into Him... everything that is earth and the created being drawn up into the Creator. Wow. I am going to be late for care group, but I wanted to ask for prayer in a few very precious areas. Please pray for my roommate, who is stepping out with HUGE faith to speak about some hard things in her life. Please pray for our students. There have been frequent (more than usual) kidnappings and everyone here at the school is really frightened for our students' safety. Today the Ministry of Education issued a mandate that no students were to be given group projects, because it would mean they would have to work outside of school, traveling to different houses. Please pray for the women's shelter. Some of you know that we have been working with the women's shelter nearby and the government just decided it would be closed. The location is government-owned and the girls are just left with no options. Please pray that God would provide ways for these girls to continue safely and with opportunities to hear and pursue Him. My heart is heavy right now, but I know the Lord is faithful. He's always been faithful. As I reflect on this past week, I'm reminded of a beautiful story my mom always used to share with me whenever I was frustrated at the idea of our large family. She said, "You know, somebody asked your grandmother one time how she had enough love for all of her eight children. She said something like, 'I don't divide my love, it only multiplies.'" With each passing day, I see another outlet for the love God's placed inside me... so very many needs meet my heart with the morning. Yet, God has allowed us, in Him, to multiply our love. In His power and for His glory, His love will be multiplied across the earth. Sometimes we can think that His love has limits, that we can max it out and He'll move on to the next needy soul. But, the depths of God's love NO ONE can fathom. I think that is just spectacular. Tonight I was working out here in the compound and this song started playing on my ipod. Through my simple words and deeds, let love be multiplied! Today and this week my prayer is that God would multiply His love in us and through us so that it flows out in life-giving ways! Praise God for His unending and unfathomable LOVE! I've been trying out this new thing. It's called being. Sometimes God, in His grace, allows us to see the sin in our lives before someone else brings it to our attention. Other times, in His grace, He allows a brother or a sister to call us out on our sin. I've been experiencing God's grace in the latter, being called out (of course wishing for the former), and finding that there is sweetness in a lesson you feel you've learned 100 times before. Sweetness isn't quite the word I'm looking for, but with this headache, it will have to do. I guess what I'm realizing goes back to that one night in my bunk bed, junior year of college. My best friend confronted me (I almost got sucked into reading old posts just now :), after the lights were out, about some sin in my life. Now, years later, I find myself in a similar situation and feeling the same relief and blessing wash over me. The God of all peace promises to restore it in our lives if we confess to one another. 1 John 1:8-9 says, "If we confess our sins, He is faithful and just to forgive us our sins and purify us from all unrighteousness." As a child memorizing this verse, I focused on the confessing. Now, as I read it, I see God's faithfulness. That when we confess, God will forgive AND purify us from all unrighteousness. There is such freedom here! So, this is where I sit. I think my inspiration is drained. What is precious, though, every morning now, is waking up to smile at the Lord. He knows me - really knows me. And I know that He loves me enough to let me be refined in this way. So, I'm working on just being with Him. Hopefully I'll soak up strength and wisdom and courage in the process. In the meantime, while I'm doing all this learning, God is blessing me beyond IMAGINATION with these absolutely amazing students. Here is Alexandra. She is one of the reasons I love my elective. We decided to make a cartoon series with my computer one day and this is what happen. I think it has definite flip-book potential! I see her face, a goofy smile plasters itself across my gringa cheeks and I instinctively rush for a hug. Ale is reaching out, questioning, wondering, and seeking. She won't settle for opinions or rumors. She wants the real, hard stuff of Truth. I'm praying her right on to that narrow path. So, the past two days have been a blur of blessing - absolutely none of which can be attributed to my own hand. I can truly say that God has orchestrated these events to reflect His glory alone. I don't know how to keep the story short, but I also don't know how to keep my eyes open right now, so I have a bit of a dilemma. I will do my best at a summary version and add some photos to help you visualize. Okay, so there's this group from a Christian high school in Dallas, Texas that has been praying for seven years that they would have a connection with our students at Pinares. They come here every year on a mission trip to work at the orphanages and do service projects in the area outside of Tegucigalpa. One of their teachers/leaders is a former Pinares student and has a strong passion to reach the most apathetic of our students by getting them out and doing service. Well, on Friday I received a note in my box and started fielding questions from students who received a letter saying they were going to translate this week and I was the advisor/sponsor for the trips. I had no idea. I mean I really knew nothing about any of it until Monday mid-morning. Random doesn't even quite describe how absurd and persistent the events were. After much chaos, I packed 12 tenth graders into a van with myself and a driver and off we went. And praise the LORD for the way HE works, prepares, coordinates, guides, reflects, and moves! The same story today with eleventh graders. They got back on the bus and said, "Miss, I've never been in a public school before. All my years in Honduras and I've never been in a public school. We should do this more often!" (And I'm going HELLO! yes!) We talked all the way home about visions for really capturing the fire they felt on the streets today. One part of the 'translating' that my students did was for street evangelism... and that's a whole other story for other days. But, wow. God is so so good! Okay, here are some pictures! In my devotions this morning, I was reading about Zacchaeus... you know that "wee little man" you sang about as a child? I tried to separate the Sunday school image and focus on what the Lord is saying through His Son's actions. I stumbled on this verse in Jeremiah. Jeremiah 29:13 says, "You will seek me and find me, when you seek me with all your heart." Sorry, I've been repeating it in my mind all day and I really think the repetition is finding a solid, steady groove in my soul. I am taking such comfort in the knowledge that God's promises are never empty - so when he says I will find him, I believe it! But, what's holding my heart in conviction today is the last part of that verse. You will seek and find me, when you seek me with all your heart. Tonight I'm exhausting, but remembering the same promise God gave me at the beginning of the day, "Seek me with your whole heart, child and you will not be disappointed! I am here!" Zaccheaus found. Jesus saw into his heart that he was desperate for even the sight of Him... and the Son did not disappoint. Guess what? You can download this audio book for FREE on Christianaudio.com!! Every month, they offer a different book for absolutely free. You better believe I'll be taking advantage of this offer monthly! :) This month's book "Not for Sale" is exactly what I want to be knowing more about. With information like this, we simply cannot plead ignorance when it comes to caring for those in distress. The knowledge is out there... we just have to read it.